CN/FL pilot Hal Grogg's grandson, David, made this CN DC-3 simulation. Click on it for the large pic version. 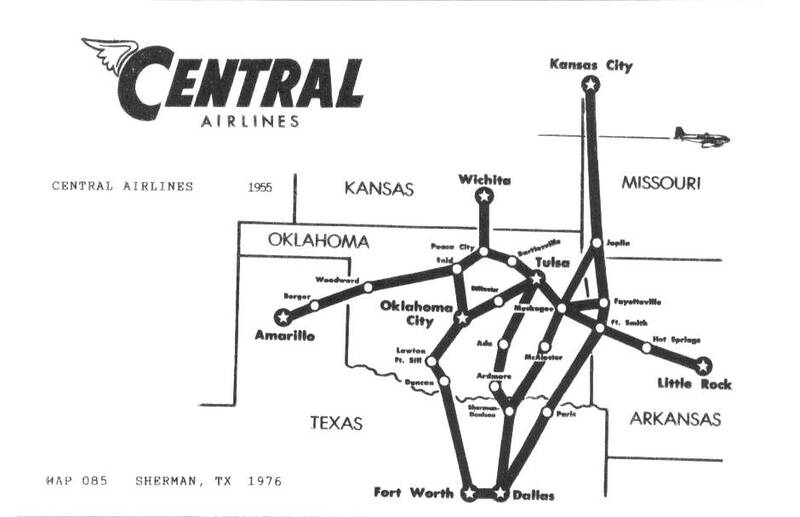 Central Airlines was founded by Keith Kahle in 1944 to operate charter and fixed base services in Oklahoma. Due to financing difficulties, it did not begin scheduled air service until September 15, 1949 just before its original certification expired. Headquarters were at Meacham Field in Ft. Worth, Texas. Backers and Board members initially included Ft. Worth oilman F. Kirk Johnson, former City Councilman R.E. Harding, Jr., Don Ehrhart and actor Jimmy Stewart. 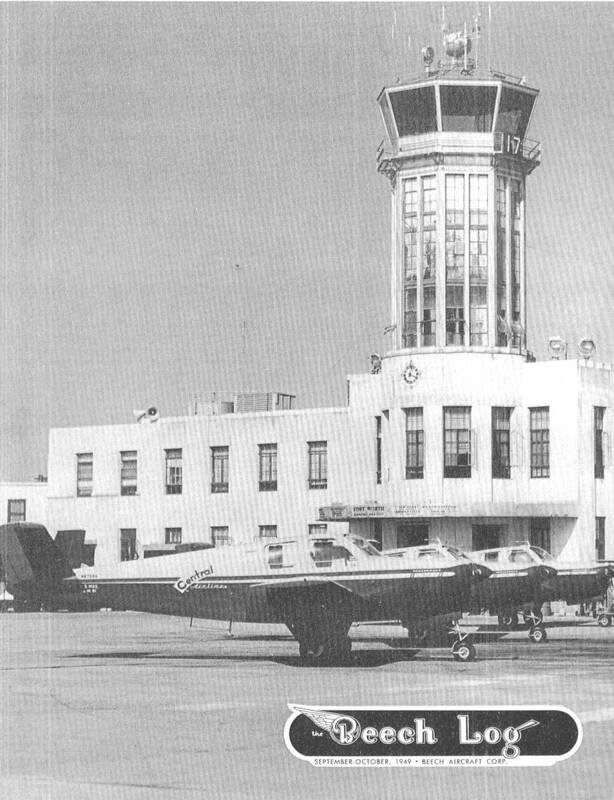 In 1961, the head office was moved to the new Amon Carter Field, which was later re-named Greater Southwest Airport. By the mid 1960s Central operated to 40 cities spread throughout Texas, Oklahoma, Kansas, Colorado, Arkansas and Missouri. 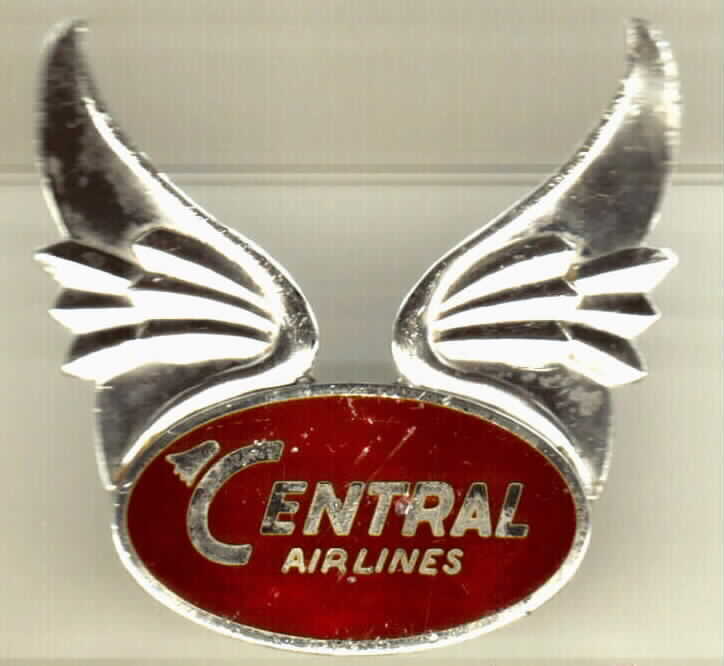 Central was sold and merged into Frontier Airlines on October 1, 1967. Before WWII Keith Kahle edited an Oklahoma magazine called TAXI-STRIP which is being revived. He died July 4, 1997 - 88 years old - and all ex- Central employees were named honorary pallbearers at his funeral. See his Memorial Webpage for more about him. 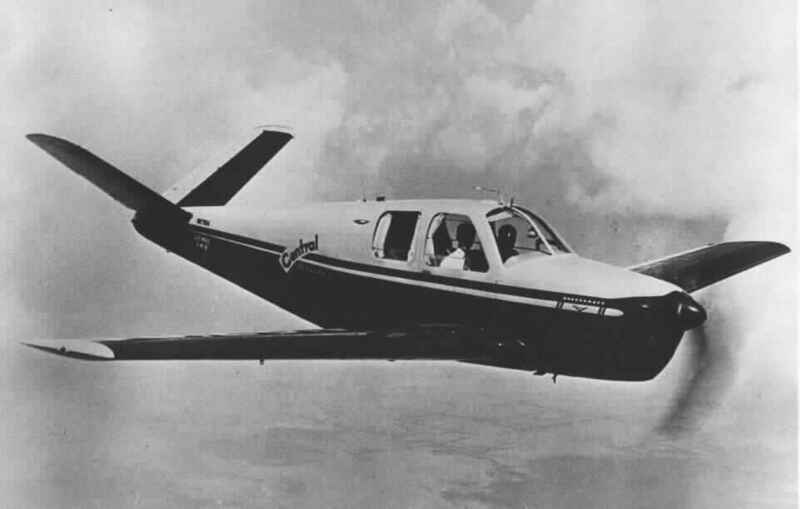 Central started with a fleet of eleven Bonanza A35s. However, these aircraft didn't attract much business and the airline started buying and operating DC3s in 1950. 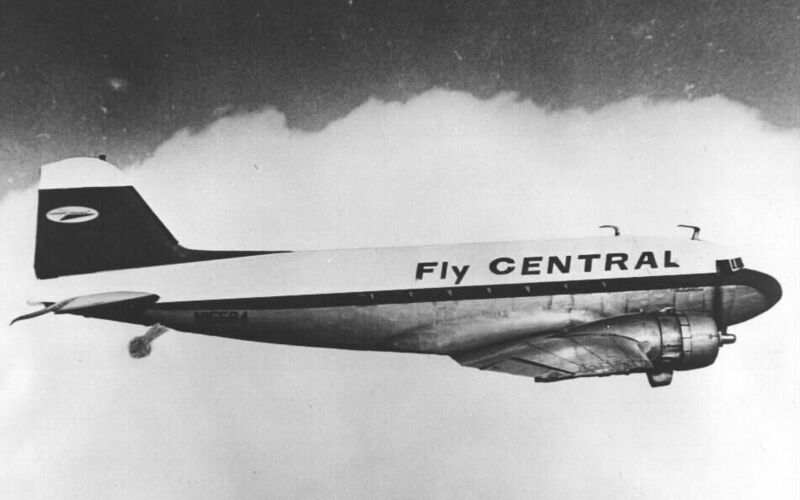 At the time of the merger with Frontier Airlines Oct. 1, 1967, Central operated sixteen DC3s. They were aircrafts N15563 N15584 N15837 N17397 N18939 N19454 N19937 N285SE N286SE N287SE N39544 N49541 N7820B N88790 N88794 and N91003. 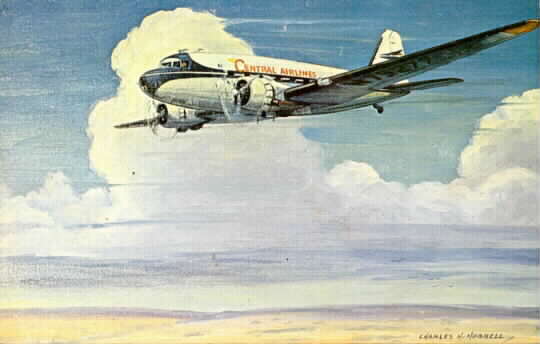 This oil painting of a Central DC-3 by Charles H. Hubbell was given to Keith Kahle on the 10th annniversary of the company's airline operation in 1959. System timetable from April, 1953. 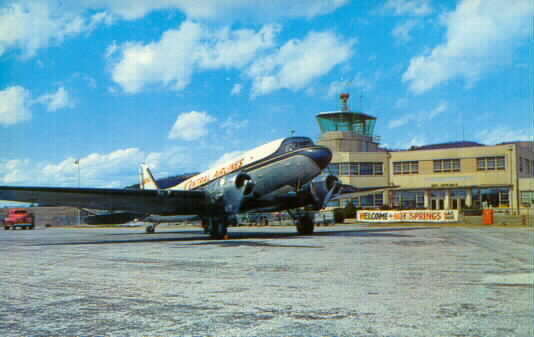 A Central DC-3 on the ramp at Hot Springs in about 1955. 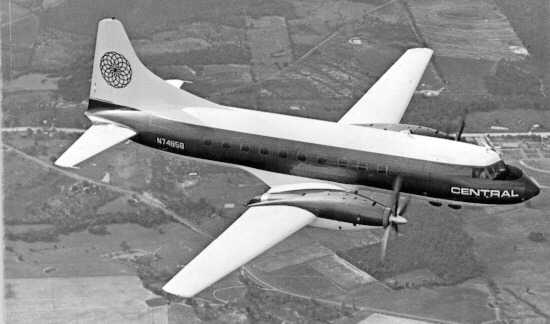 The Convair 600 was a turbocharged version of the CV240. It was sometimes called a CV240D. 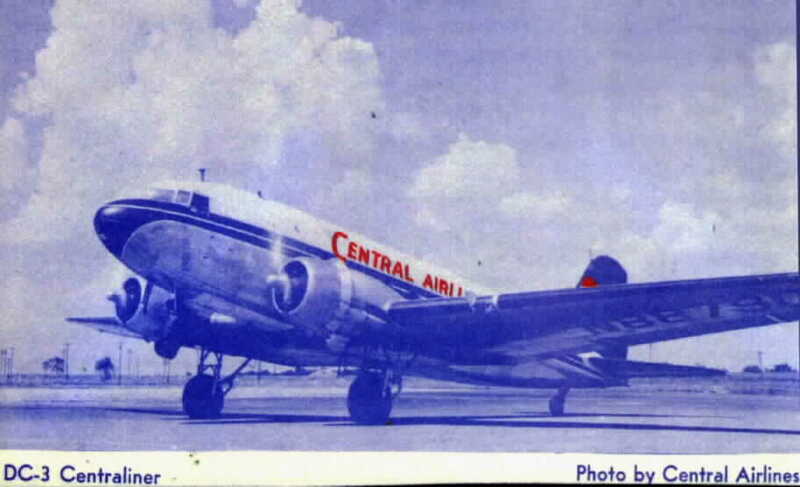 Central was the first customer for this aircraft. It first flew May 20, 1965 and only 39 were produced. It carried 40 - 44 passengers and a crew of three. This was the route structure in 1955. 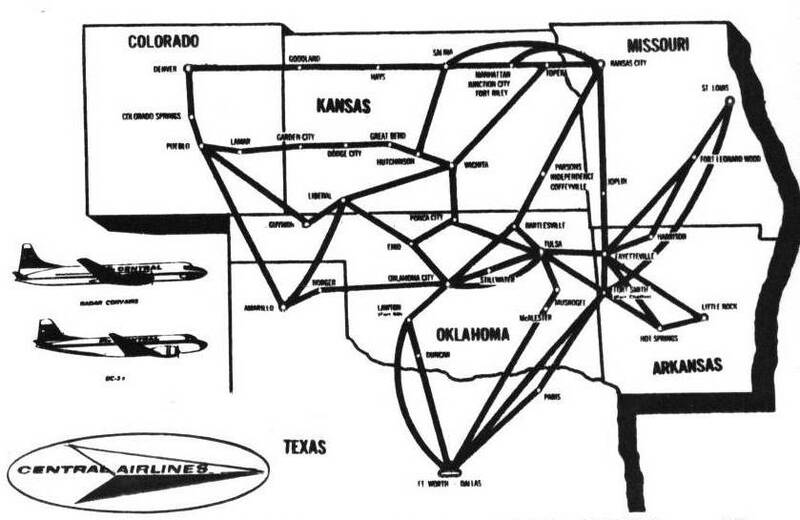 This was the route structure in 1965. This paint scheme and logo were introduced in 1966. 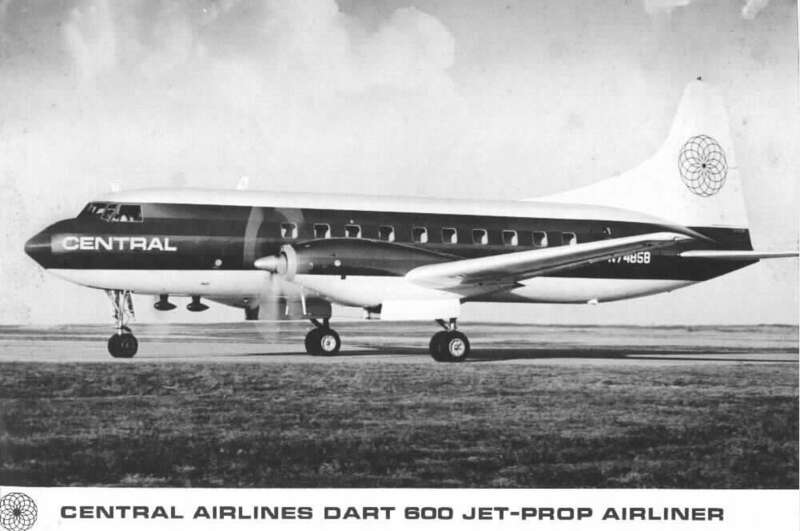 Central had eleven of these CV600s in 1967 when the merger took place: N74850, N74851, N74852, N74853, N74854, N74855, N74856, N74857, N74858, N74859 and N74860. See a magazine article from Beech Aircraft in Sep/Oct, 1949. Page 1 Page 2 Page 3 Double click the image to get a larger view. 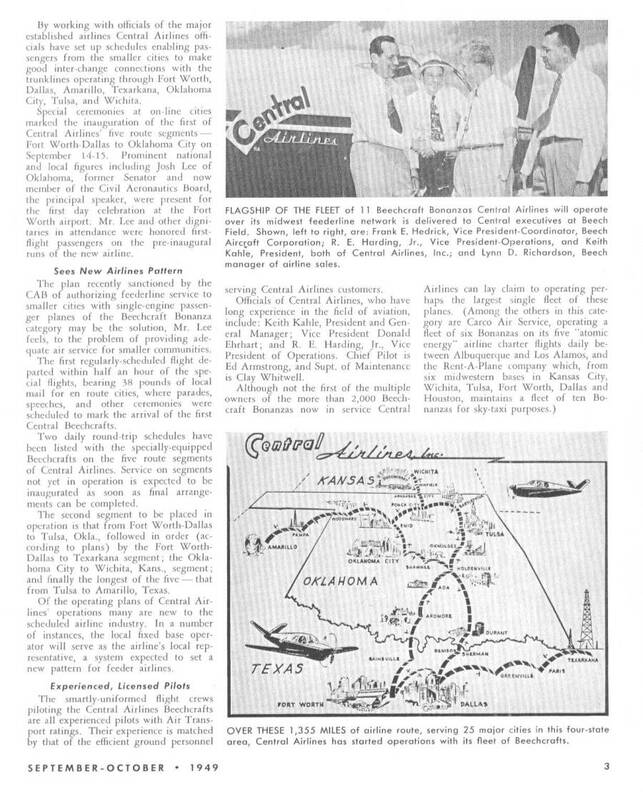 Read Chief Pilot Harry Logsdon's article A Pilot Remembers marking Central's 15th anniversary in 1964. 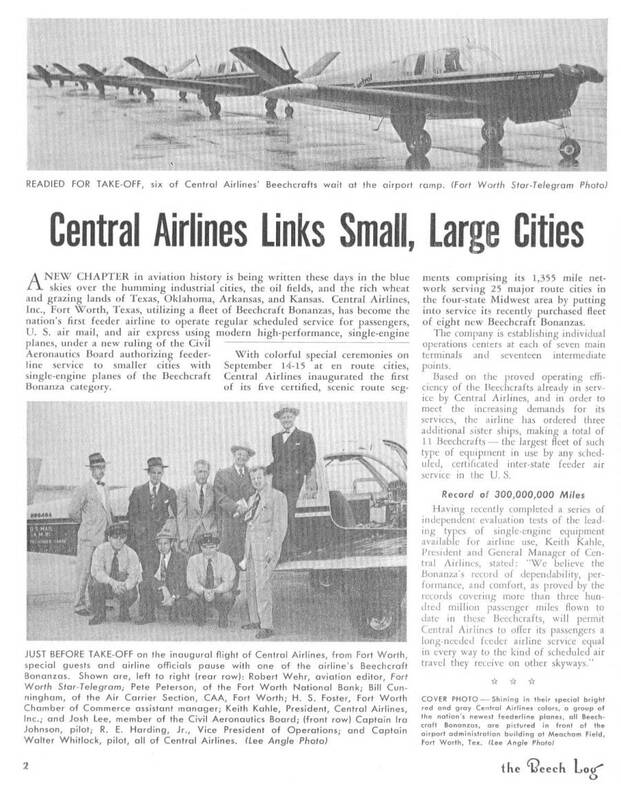 A 20 page excerpt from a 1949 Southern Flight magazine recaps Central's beginnings. 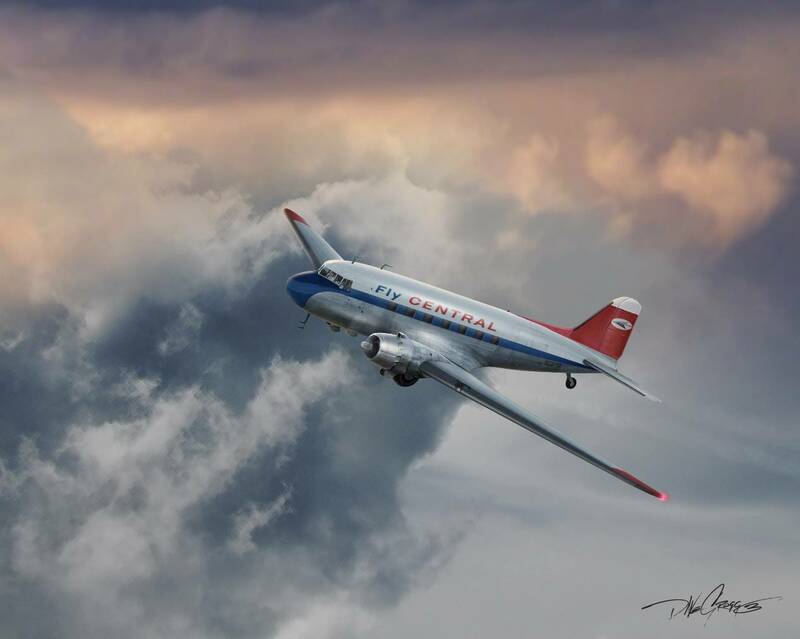 Thanks to David Grogg for the great image of the DC-3 at the top.